Wensink Day at The Fanzine. The Fanzine, one of the sharpest literary sites on the block, dedicated an entire day to all things Wentastic. First, Michael Louie reviewed Broken Piano for President, comparing it to Nick Cave’s Bunny Munro, but not Cave’s facial hair finesse. Second, Patrick penned an essay, begging ITT Tech to purchase his papers. This entry was posted in Broken Piano for President and tagged Broken Piano for President, Fanzine, ITT Tech, Nick Cave, Patrick Wensink. Bookmark the permalink. 2 Responses to Wensink Day at The Fanzine. Thanks for finally writing about >Wensink Day at The Fanzine. 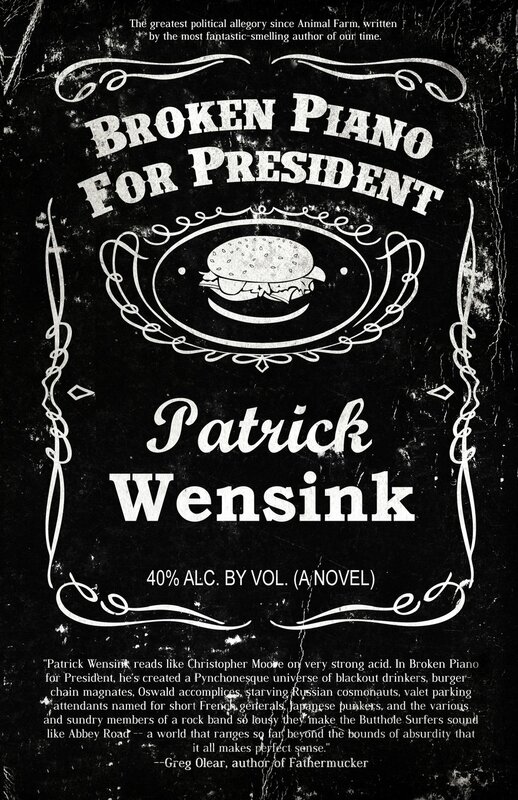 | Broken Piano for President <Loved it!